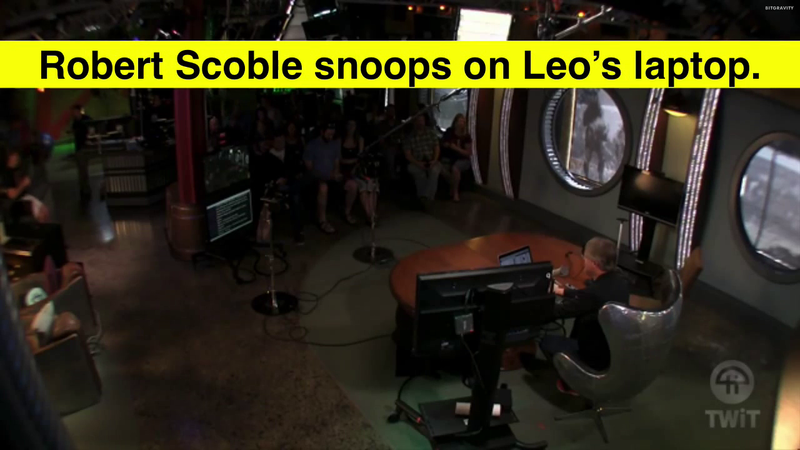 Noted freeloader and bizarre internet personality Robert Scoble snoops on Leo Laporte’s laptop during a recent pre-taping of “Triangulation” in front of a studio audience. 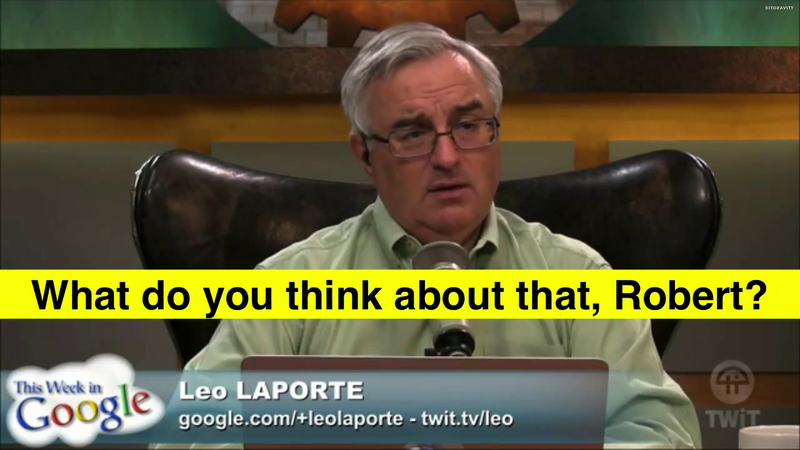 Why do the #twitlive chatroom moderators insist on creating a “family-friendly” audience when the livestream is filled constantly with x-rated garbage? We’re guessing here at #TotalDrama that the only people who know the answer to that complex riddle is Dan the Head Moderator’s therapist and/or Mommy.